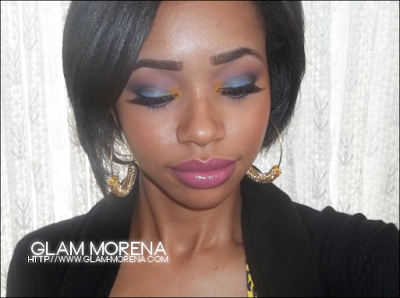 Glam Morena: Tutorial: Tropical Typhoon. Something about Spring just makes you want to do more colorful looks. 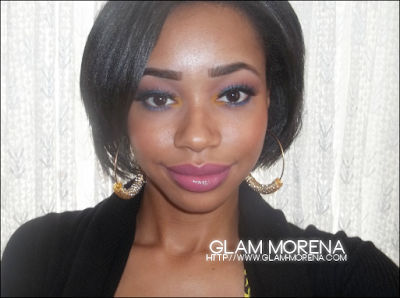 I'm back loving the pop of yellow in the tear duct! I recently got MAC Atlantic Blue eyeshadow. 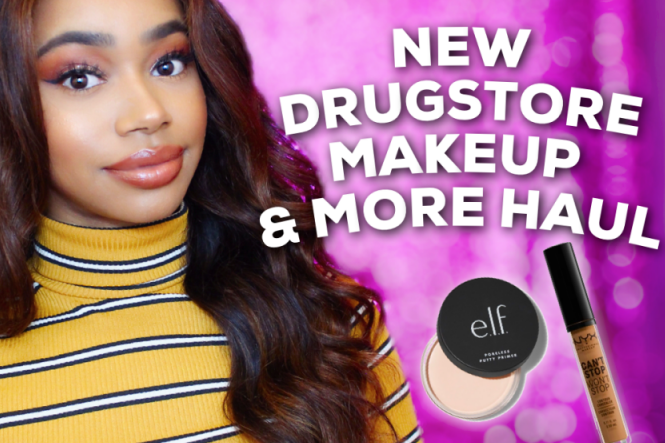 It's been my favorite eyeshadow lately and I wanted to film a tutorial using it. Really pretty colors! The plum & the blue look so pretty together. & I loveee that yellow tear duct! GORGEOUS! I love how you pulled all those colours together in one cohesive and beautiful look! the eye shadow looks bomb! Gorgeousss! Love this look on you! Simply gorge luv it luv u!